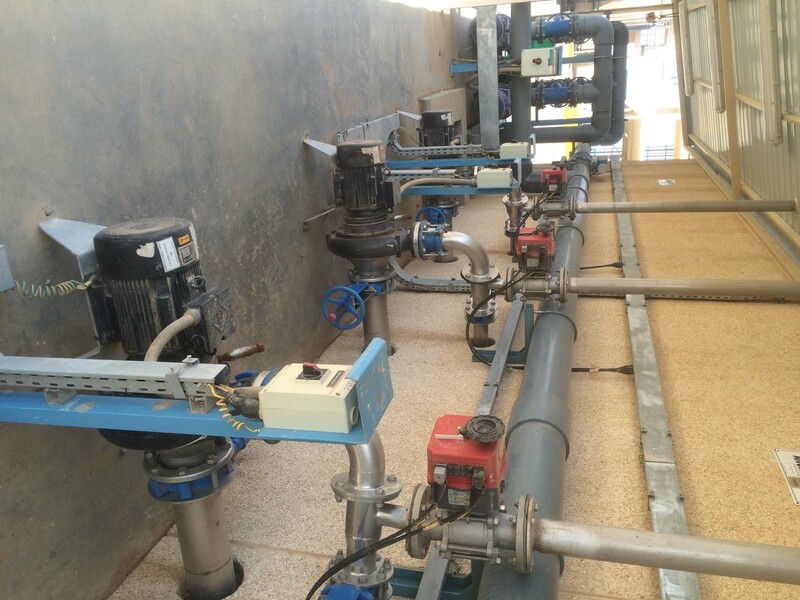 Specified by MSA Environmental Ltd who are leading effluent treatment plant designers for food and drink production sites in the UK and Middle East, a total of 39 dry-mounted Landia AirJets handle aeration, anoxic tanks and sewage at the remote site. Serving a new effluent treatment plant utilising MBR technology that treats wastewater from the poultry and rendering plants (c. 6,000m3/day), the AirJets keep wastewater aerated and mixed in two 800m3 balance tanks prior to Dissolved Air Flotation (DAF). In the two 130m3 DAF sludge tanks, AirJets keep the tanks’ contents fresh and homogenised prior to further treatment by a tricanter centrifuge. AirJets are also utilised for two 150m3 biological sludge tanks, aerating and mixing to provide homogenous composition to sludge dewatering equipment. Furthermore, AirJets are also installed in anoxic tanks for mixing purposes, as well as in the sewage treatment plant. Jerad O’Pray, Director at MSA Environmental, said: “We have specified AirJet on many of our plants and always found them to deliver very good performance, as well being extremely robust and reliable. This includes, for example, many years of highly effective operation at the Almarai CPP (dairy/juice) site in Al Kharj, also in Saudi Arabia”. He added: “Despite ambient temperatures that are consistently above 40 deg C, the AirJets help reduce odour issues by keeping the tanks fresh during the near 24/7 operation”. Comprising a Landia chopper pump and an ejector system, AirJet is designed with an external knife system, which ensures that the aerator does not get clogged up by any solids in the wastewater. To suit the size of the large balance tanks (2 x 800m3) at the poultry processor, 18.5 kW AirJets were specified by MSA as part of their independent consultancy advice, whilst 7.5kW motors are used elsewhere throughout – with each AirJet made from a cast iron casing, plus stainless steel impellers and shaft.